This was such a wonderful read! I had to get used to the style at first, but when I got into it, it was just amazing! 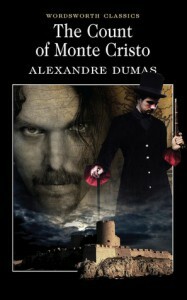 Dumas has crafted an extensive plot with attention to every detail that you'd wish for. The famous revenge Edmond Dantes takes is just genius. I cried for the crossed lovers and I loved the ending. This quote: "All human wisdom is summed up in these two words: wait and hope." is amazing.